In an attempt to decongest the city Kampala Capital City Authority, plans to streamline public transport and maintenance of public roads which the city lord Mayor says is in its advanced stages. Kampala Lord Mayor Erias Lukwago says lack of stated guidelines to regulate the transport sector has degraded the Authority’s progress. According to Lukwago, the process of organising Kampala City needs funding to accomplish building of the proposed markets, which he says government should provide. Especially the piled pieces of land meant for market construction to address the problem of non-gazetted markets and street vendors. “The management and administrative big issues within these markets, how many more, new markets have we lined up for construction? City lord Mayor Erias Lukwago says for them to streamline the industry well, they are going to enforce laws governing the industry. Which is surrounded by congestion and noise pollution. 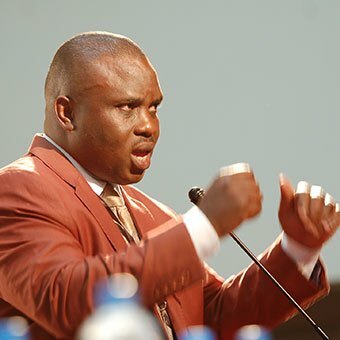 “And that will contain so many things including enacting numbery of ordinances which were blind up this financial year, to regulate matatu’s, to regulate boda bodas and we also want also to emphasise none motorized transport,” Lukwago added. Lukwago says lack of un regulated movement, parking of vehicles and motorcycles is a result of absent laws regulating the industry. Which he says needs urgent action before it worsens. Various attempts have been made and failed and now this remains a challenge whether this time it will stand.